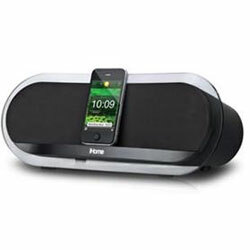 The iP3BZC is an impressive new stereo system for iPhone and iPod, offering dramatic good looks and amazing audio. The iP3BZC features Bongiovi Digital Power Station technology coupled with 50 watts of power and best-in-class full range neo-dymium speakers for sound that has to be heard to be appreciated. Remote Included.